As a content marketing agency, we’re interested in brand success stories and in seeing how brands connect with audiences. Using the power of a good story, former vogue staffer Emily Weiss launched a beauty blog called Into the Gloss in 2010: a blog filled with candid interviews and photos of women ranging from well-known celebrities to niche bloggers. Four years later, after an extended digital conversation about beauty products with the blog’s readers, Weiss took the leap from editorial to e-commerce. The blog’s success led to the creation of Glossier, a new beauty brand with distinct product looks, messaging and marketing meant to truly relate to women. The company has raised over $10M in funding. This personal approach to beauty is what’s led the brand to become a beauty behemoth since its inception. Glossier’s Instagram page boasts 332,000 followers along with a carefully curated feed that highlights the now-signature shade of Glossier pink that many fans recognize. Although the company has a niche consumer base (predominantly millennials), the loyalty of those consumers is what matters. By trusting Instagram as a core community to engage with and using email as a long-form conversational tool, Glossier assures its customers are well informed and cared about. 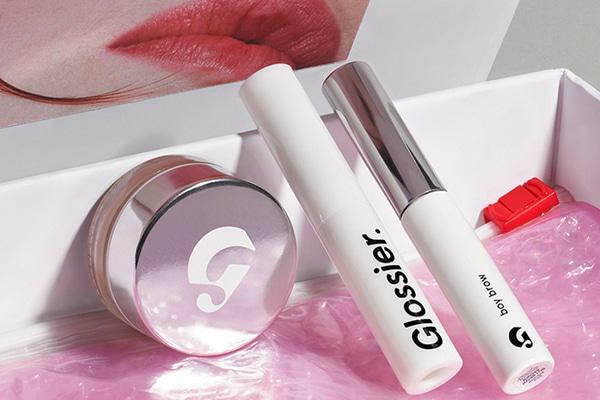 Glossier embraces the power social media plays in creating a conversation and customer loyalty by taking into account comments on the blog and on Instagram. In 2015, Weiss wrote a post on Into the Gloss asking readers “What’s your dream face wash?” Hundreds of Instagram and blog comments later, Glossier debuted its first face wash that’s now reached a cult following. Similarly, Glossier established a Slack channel consisting of 100 of its top customers where they can engage in a two-way conversation with the product team to create the brand’s highly coveted products. Glossier is challenging the high-brow and uber-polished fashion and beauty industry that prescribes beauty standards to women by offering an alternative: beauty on their terms. And it all began with the revolutionary idea that a brand should ask its target audiences what product or service they want most. Whether’s it’s through a market survey, online poll, or simply a conversation on social media, brands that truly listen to its consumers are quickly getting ahead.